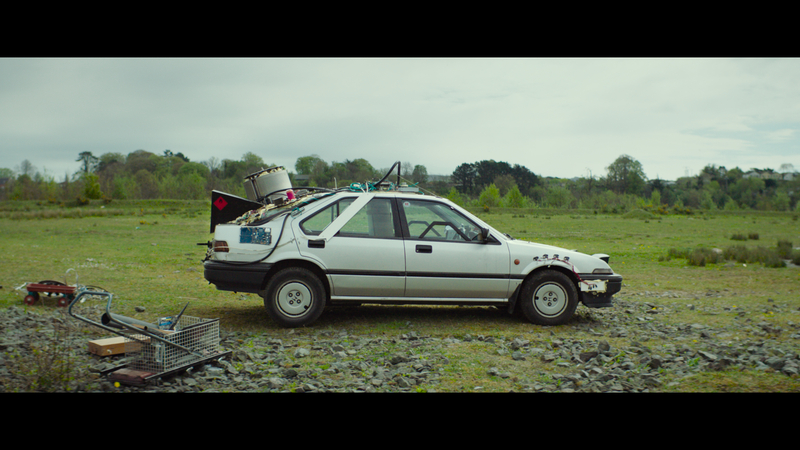 Time Traveller is a short film showing the Travelling Community through a different perspective. We had the opportunity to talk with Steven Kenny, the director, about this wonderful film. Hi Steven, how are you doing? I’m great thanks, and you? Great, congrats on Time Traveller, your latest short film. Where did the idea for this film come from? I had wanted to tell a story set in the Travelling community for a long time. Most on-screen portrayals of Travellers tend to focus on the more sensationalist aspects of Traveller culture but we were keen to tell a story that was about family and the strength it can give in the face of adversity. Then quite separately, I’ve been obsessed with the Back To The Future films since I was a small child and the DeLorean has always occupied a fond place in my childhood memory. So when I had the idea to combine these two sensibilities, things just sort of snowballed from there and Time Traveller is the result. In this story, Tom Doran is portraying the leading character Martin and his real life brother is playing Martin’s brother, which is very clever especially in a film like this. How did you come across them? We were searching for a long time for the right kid to play Martin and we were intent on casting someone who came from the Travelling community. I read an article about Liam Doran, who plays Martin’s older brother in the film, and another one of the Tom’s brother, Paddy who had done some modelling for high profile fashion brands with the photographer Perry Ogden. The article mentioned that they had a few younger brothers so we contacted them and asked them all to come in for an audition. They’re a great family and all of the lads are very talented but Tom in particular really embodied the role. Once we cast him we knew we’d use one of the older brothers alongside him and I think Liam found it quite easy to play a role that involved giving his little brother a hard time! I’d been a big admirer of Barry Ward for a long time and came close to working with him on a previous project that unfortunately didn’t materialise. When we were putting this film together however we felt that he’d be perfect for the role of Martin’s father, John Paul. Working with Barry is a real pleasure and the bond he managed to form with Tom during rehearsals and on the shoot was crucial to the on-screen chemistry they have together. For the role of Martin’s mam, Mary, we were very fortunate to be able to cast the vastly experienced Denise McCormack and the always-excellent Barbara Bergin makes an appearance as the woman who Martin has a run in with when he’s out collecting materials. When you have a first-time child actor in the lead role, it’s great to be able to surround them with a cast of seasoned pros and the generous and collaborative approach of all our adult actors on Time Traveller was instrumental in getting a performance out of Tom. The film screened at prestigious film festivals such as the Tribeca Film Festival as well Galway Film Fleadh and it won Best Irish Short at the Foyle Film Festival. The success of this film is still going. Did you ever think that the film would get this much support from film festivals and the audience? My producer Collie and I were excited about the project from the outset and at every stage of the process we had a good feeling about the film in general. But once it’s made, you never know if it will have the success you hope for or if what you see in it will resonate with other people. Thankfully audiences seem to enjoy Time Traveller and we’ve had the privilege of screening at a some top international festivals as a result. The response to the film has been great and has far exceeded our expectations. Obviously the film touches on the treatment of Travellers in Irish society and although I would hope it might cause people to examine their own attitudes towards this frequently maligned ethnic minority, that’s not for me to dictate. More important to me is that people engage with the story and empathise with the characters. At its heart it’s a film about family and the strength and resilience it provides in the face of adversity. All of your films take place in Ireland, where you’ve been living. Do you hope that with films like this, more filmmakers and producers will shoot in Ireland? The industry in Ireland has been going from strength to strength over the past few years and at the moment it really seems to be thriving. So many international film and TV productions currently choose to shoot here but it’s no surprise given the incredibly talented local crew and ever-improving infrastructure that’s available. While I don’t think the success of Time Traveller will have any baring whatsoever on the Irish industry’s continuing growth, Ireland has always had a rich tradition of supporting and developing talent through short filmmaking and we count ourselves lucky to now be a part of that. I spent a lot of time watching films and reading as a kid and the older I got, the more of an obsession it became until I finally started thinking about it as a career in my late teens. Thankfully when I actually started writing scripts and making films I found it to be even more fun than watching them and although there are many ups and downs in trying to create a life for yourself as a filmmaker, I couldn’t imagine myself doing anything else. Ha, I’m still trying to figure that out myself but what’s worked for me has been to watch as much as I can, read lots of scripts and then learn by doing – making films and learning from my mistakes. Writing has also been instrumental in making me a better filmmaker. I’ve gone through some very long periods over the years without shooting anything because of a lack of finances or resources. It can be discouraging but writing is a way to ensure you stay creating and all it requires is time and perseverance. I have a couple of projects in the works, chief among them being my debut feature, which is a horror-mystery set in a rural valley in the West of Ireland. I’m also developing my first TV series about a small town that becomes overrun by characters from Irish fairy folklore in the wake of the disappearance of a teenage girl.